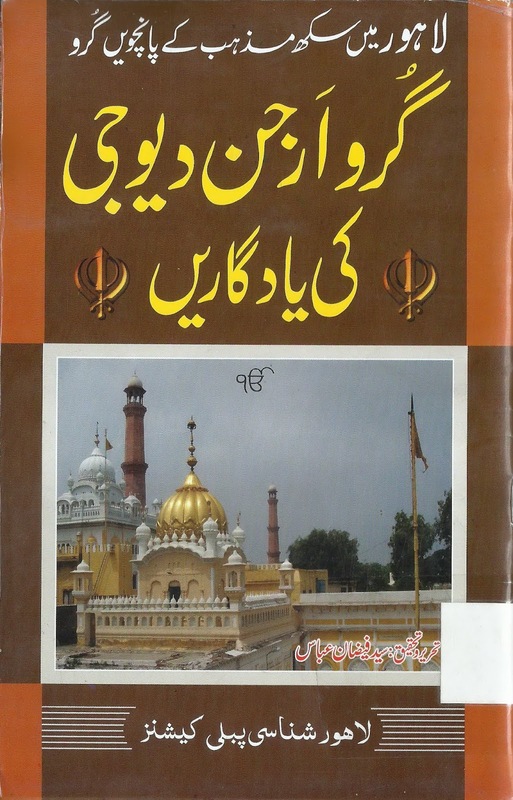 Colors of Rainbow: Blogs of Engr Maqbool Akram: Story Of Laal Khu-Mian Mir-Barfi Of Mochi Gate (Lahore): Martyrdom Of Guru Arjan Singh. Story Of Laal Khu-Mian Mir-Barfi Of Mochi Gate (Lahore): Martyrdom Of Guru Arjan Singh. There is an old mansion in Mochi Gate area of old Lahore known popularly as the "Lal Haveli ". The people of old Lahore still place oil lamps there at an old well known as the "Lal Khu" every year. They also purchase "Barfi", a local sweet and distribute it to the poor. Actually Lal Khu was the very well in the haveli of Chando Lal, whose water was used by Guru Arjan during his incarceration by Chando Lal. Hence, the name Lal Khu and its sanctity for the Sikhs. They do so to make a "Wish" or "Mannat" in the memory of friendship between Hazrat Mian Mir with Guru Arjan Dev, the fifth Guru of the Sikhs. 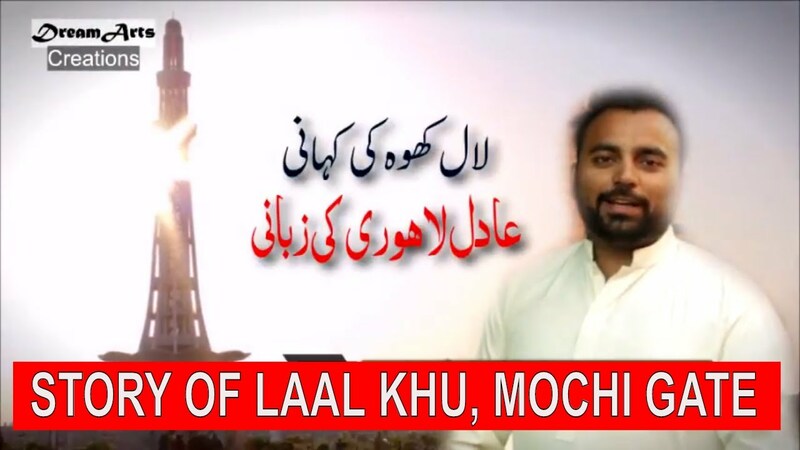 Let's take a few moments to discuss the execution of the Guru and the subsequent reaction of Lahore's local population. The lives of all great men are examples of courage and endurance . Ø One, he compiled Granth Sahib, the most sacred book of the Sikh religion. 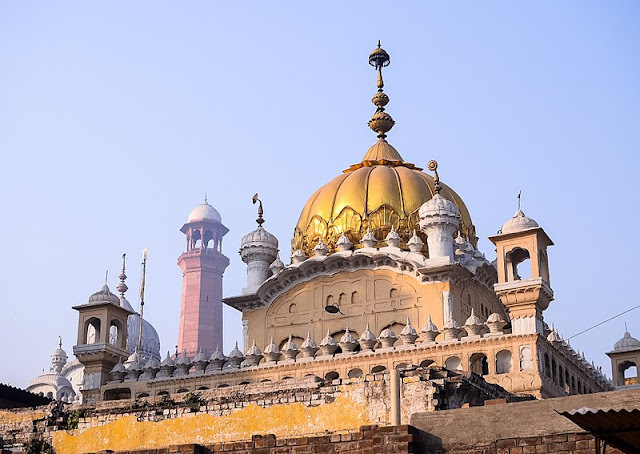 Ø Two, he invited Mir Mohammed Muayyinul Islam (1550–1635), popularly known as Mian Mir or Sain Mir,a famous Sufi Muslim saint of Qadiri order of Lahore.A close friend of Guru Arjun Dev Ji, to lay the foundation stone of the Harmandir Sahib, (now known worldwide as the Golden Temple). 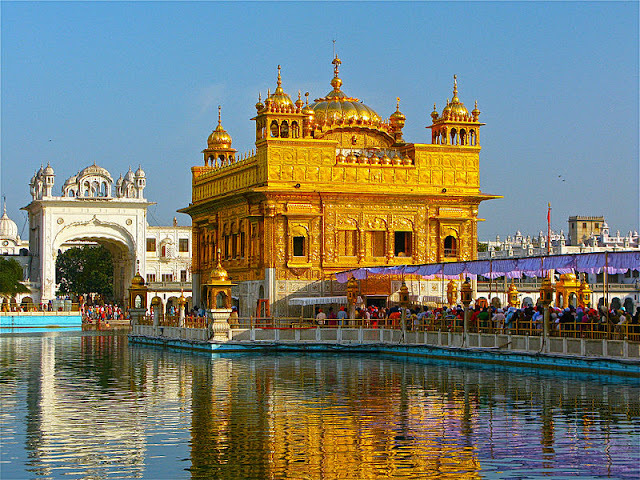 We will have to wait as we go through why Sikhs visit this place and, additionally, why the barfi of this area is so famous. Back to the building which is known as Chandu de Haveli. Who was Chandu, or better still Chandu Shah? The name Laal Khu is derived from the red rags that people still tie to the tree and the well, leaving small mud lamps burning as some sort of ‘mannat’ (sacred promise). To explain this, very briefly, we must first narrate the story that brought this place such prominence, especially for Sikhs of the world. Chandu Shah was a wealthy banker and revenue official during the reign of Mughal Emperor Jahangir. He once approached a Hindu priest to work out why his aging daughter was not finding an appropriate match for marriage. 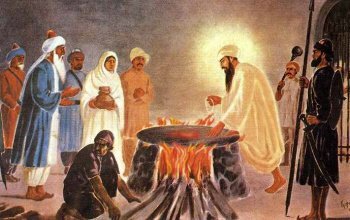 The priest consulted his ‘methods’ and proposed that the son of the fifth Sikh guru, Guru Arjan Dev (1563-1606), was most suitable. Chandu laughed off the proposal with the remark: “He is a beggar who lives off alms.” The remark was reported to the guru. Guru Arjan, when approached, politely refused the match. Jahangir came to Lahore in April 1616 in pursuit of his son Khusrau who was claiming the throne on his grandfather’s wishes. Prince Khusrau met Guru Arjan, who blessed him as is customary for holy men to bless all those who call on them. Chandu Shah reported this blessing of Guru Arjan Dev to Prince Khusrau, to Jahangir as a conspiracy. Guru was arrested by Murtaza Khan on order of Jahangir and brought to Lahore. A hefty fine of Rs. 200,000 was imposed on the Guru and he was asked to delete the verses from "Adi Granth" that were critical of Islamic and Hindu rituals. The guru responded by saying he had done no wrong and refused to pay the fine, or let others pay it. He also refused to delete any portion of the holy Granth. On this, Chandu Shah was allowed to drag the guru to his house and imprison him in a small cell at the corner of his haveli inside Mochi Gate of Lahore. Next to the cell was a well and a ‘Berry’ tree, the ones that still survive. Chandu imprisoned Guru Arjan in this cell and proposed to starve him to death. Hazrat Mian Mir offered to pay the fine, which the guru disallowed. For six whole months no food was allowed to Guru Arjan. Every Thursday, Hazrat Mian Mir would come and pray for him. It is said that Hazrat Mian Mir also prayed that the ‘bairi’ tree continue giving sweet ‘bairs’ throughout the year and that the water of the well remain sweet. He would purchase barfi from a poor shopkeeper at the corner of the opposite lane, wrap it in a cloth and throw it through the tiny cell window. After six months, the then governor of Lahore, Murtaza Khan, asked Chandu Shah whether the guru had starved to death. When replied in negative, he flew into a rage. He ordered Guru Arjan Dev be dragged through the streets of Mochi Gate and brought to the Lahore Fort. The result was a scarring of the Sikh psyche that would reverberate for centuries and ultimately destroy the Mughal Empire forever. Mian Mir raised slogans on the streets of Lahore to mourn the martyrdom of Guru Arjun Dev. He never accepted any gift sent by Emperor Jahangir, or his Ministers or nobles. One source claims that Muslims of the area sang poems about Karbala when he was being taken in chains to the fort. At the fort, he was tortured by making him sit on heated iron sheets. Mughal court documents say he died after five days of torture (Tuzk-i-Jahangiri). Sikh sources say he was to be sewn in a buffalo skin and thrown in the Ravi flowing outside. But the guru wanted to have a bath, and dived in the river, never to return. The place he did this is seen today inside the ‘samadhi’ of Ranjit Singh outside the Lahore Fort. Sikhs believe he will return on the Day of Judgement to represent them. The end of Chandu Shah is amazingly ironic. Jahangir turned against him and handed him over to Arjan’s son Guru Har Gobind, who had the Sikhs of Lahore drag him out of ‘Chandu de Haveli’ and along the same route to the river by the fort. On the way, every Sikh slapped and kicked him in rage. The final ignominy was that the man who poured hot sand on Guru Arjan was made to do the same to Chandu Shah. Over the ages, Sikhs have paid homage to the well and the ‘bair tree’ that fed their guru for six long months. Some even purchased barfi from the small shop and gave it to the poor to eat. That tradition remains till this day. The people of old Lahore still remember the friendship of Hazrat Mian Mir and still place oil lamps there over any ‘manaat’ they make. 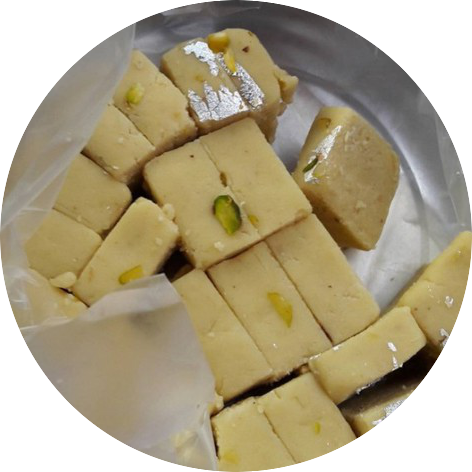 Lal Khu is known to people of Lahore and many Pakistanis abroad as the place where the tastiest “Barfi” is made by Rafiq Sweets. Actually Lal Khu was the very well in the haveli of Chandu Lal,whose water was used by Guru Arjan Dev Ji during his incarceration by Chandu Lal. Over time, Laal Khu has become more famous for its barfi, not the mullahs. There is a hadith (Bukhari-553) claims that on the Day of Judgement, God will not look at those who withheld water for the people. Written and posted by Engr Maqbool Akram with the help of materials available on net and photos too are taken from sources on net with thanks.